Ultrasound is a procedure that gets the entire picture of the maternal structure and fetus on the screen. It may take 10 to 30 minutes and can be transvaginal or abdominal, involving a transducer and gel. The transducer is a device transmitting high-frequency sound waves which travel through amniotic fluid. The waves translate into patterns of light and dark areas which appear as images on the screen. The images are called sonograms. 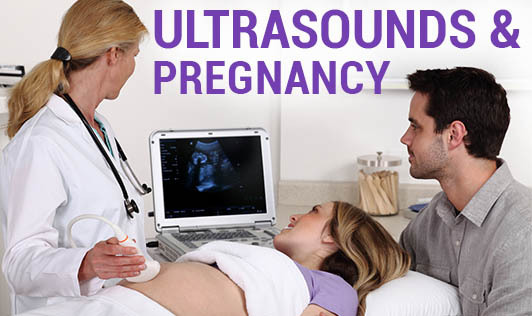 Ultrasound helps to check the uterus, ovaries, and fetal development. It helps determine the type of pregnancy (ectopic or uterine), the location of the placenta, baby’s gestational age and congenital abnormalities. Ultrasound by well-trained and experienced staff in an accredited hospital or diagnostic set up is safe. Accreditation should be done by the medical institution of the country confirming that the machinery used are safe and handled by well-trained staff. An ultrasound should be scheduled only when medically required. Any pregnancy will need two ultrasounds: one in the early trimester to confirm pregnancy and to mark the gestational age. The second would be between 18 to 20 weeks to check fetal development. Since it is non-invasive, the risk and side effects of repeated use on the mother or on the fetus is not completely known and therefore it is wise to get an ultrasound only when medically necessary.